10,000 BC Nomadic tribes reach the area. The ice age is ending. Land area is nearly twice its current size due to a lower sea level caused by much of the ocean's waters still frozen in polar ice caps. 7500 - 3000 BC Temperature rises and climate changes until it reaches a state currently experienced today. 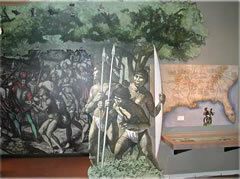 5000 BC People begin settling in the area along coasts and riverbanks. 1000 BC Beginning of changes from hunter-gather groups to societies based on cultivation. 1000 BC - 1500 AD Numerous Native American groups establish themselves and inhabit the region. Among these include the Apalachee in the northern panhandle, the Timucuan in the central and northeast area, the Tocobaga on the west coast, and the Calusa in southern areas. Over 100,000 Native Indians live in the region by 1500. 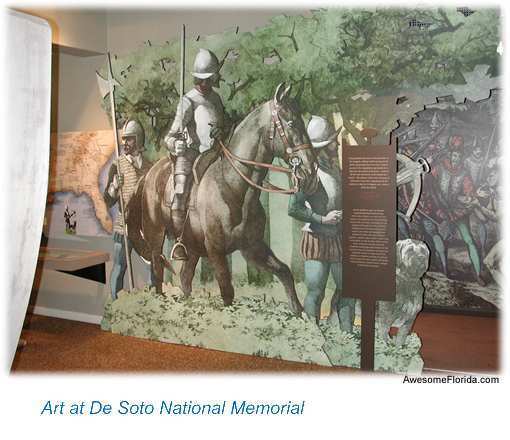 1513 The Spanish conquistador Ponce de Leon set foot near what is now St. Augustine. He claims the territory for Spain which he names "La Florida". 1513 - 1560 Several Spanish explorations fail to yield expected gold and silver. 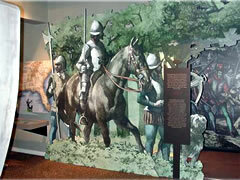 1564 French settlers build Fort Caroline near St. Johns River. 1565 Spain sends an armada to build a settlement called St. Augustine and drive out the French. This fort became the first permanent European settlement in the New World that still exists today. 1565 - 1700 The Spanish colonize much of the state. 1700s Creek Indians migrate from Georgia and Alabama south into the area where later they and all local Indians collectively become known as the Seminoles - the "Unconquered / Free People". 1763 Spain cedes Florida to England in exchange for Havana, Cuba as part of a bargain in the settlement of the Seven Years' War. The east and west territories of Florida become the 14th and 15th British colonies in the Americas. 1784 Spain regains control from England as part of a peace treaty that ended the American Revolution. 1821 The United States acquires Florida from Spain as part of a deal to cancel $5 million in debts owed by the Spanish and it becomes becomes a territory of the United States. 1824 Newly founded town of Tallahassee is declared the capital of the territory. Tallahassee was chosen because it was halfway between existing governmental centers of Pensacola and St. Augustine. 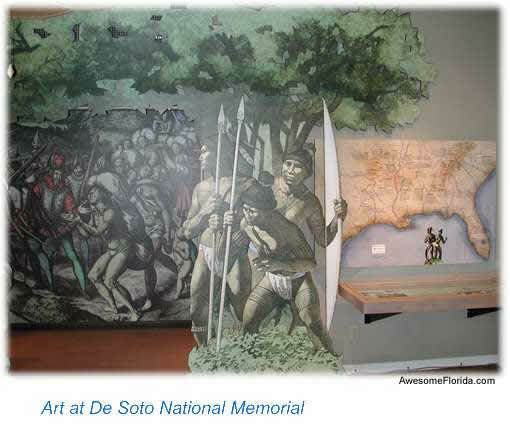 1835-1842 The second Seminole War is waged. 1836 First railroads begin to operate. March 3, 1845 Florida becomes the 27th state to join the United States of America. 1855-1858 The third Seminole War. Only a few hundred Seminoles survive by hiding in the Everglades. 1861 Florida secedes from the Union to join the Confederacy in the US Civil War. 1880 Large scale commercial agriculture, cattle-raising and industries such as cigar manufacturing take root. Population reaches an estimated 270,000. 1880-1912 Great railroad-building era. Transportation for goods and people including tourists improves. 1920-1926 Great land boom and rapid population expansion. Population reaches one million. 1930s The state becomes America's largest citrus producer. 1945 Two million people live here. An estimated three million tourists visit as large-scale tourism begins. 1947 President Truman opens Everglades National Park. July 20, 1969 Spacecraft Apollo 11, launched from Kennedy Space Center, lands on the moon. 1971 Walt Disney World opens near Orlando to become the area's first major theme park. April 12, 1981 First Space Shuttle, Columbia, lauched into space from Kennedy Space Center. 2012 89 million people visit Florida - nearly 5 times its resident population!